APPEARANCE: BOYS ON PROBATION FIRST — Noel G.
The notable work and passionate administration of Spring Mountain Youth Camp inspired Hollywood actor, producer and speaker Noel G to address the entire camp, faculty and administration in what was called "one of the most impactful sessions the school has hosted." Spring Mountain Youth Camp is a staff-secure correctional facility on a mountaintop 45 minutes from the Las Vegas Strip but a world away. 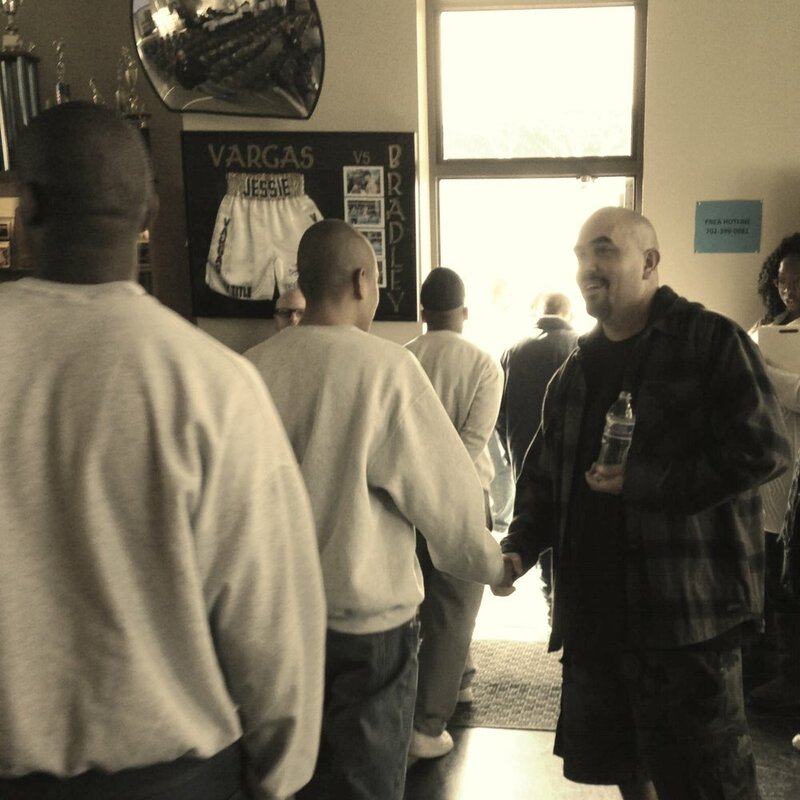 It houses 240 young men aged 12 to 18 judged for delinquent acts and benefitting from therapeutic, educational, social, medical and recreational support. Operated by the Clark County School District, structured education is augemented by sport and a variety of programs from substance abuse to social skill development. Community corporate support from The Kiti, Las Vegas Golden Knights and SR Construction gave these at-risk youth relatable, motivational access to Noel G during an interactive presentation and discussion.